Will the power of the people be too great for the federal government? According to a study conducted in February by the Associated Press NORC Center for Public Affairs Research, more than 60 percent of Americans believe that marijuana should be legal. The number has never been so high on a survey like this, which is a big threat for those who are against medical marijuana. This research shows that the support for legal marijuana is continuing to grow in the USA. An observation of previous statistics on the same matter show just how much the cultural perspective on marijuana has changed over the last 4 decades. As the support grows, the resistance towards marijuana legalization will continue to crumble and prohibitionists will have no choice but to surrender to the magical herb. The survey was taken on whether or not marijuana should be legalized, and to what degree. Of those who were in favor of the legalization of marijuana, 33% of them agreed that it should be legalized completely without restriction. The majority of those who polled yes to marijuana believe that it should be legalized but with a restriction on how much can be purchased. These make up 43% of those in support of marijuana. The final 24% believe that only medical marijuana should be legalized. It doesn’t seem that this openness towards medical marijuana legalization is carried out to the remainder of the list of illegal substances. Only 7% of those polled believe that other hard drugs like cocaine or heroin should be legalized. It seems that marijuana plucks a very special string in the hearts of the American people, despite the fact that the federal government still classifies marijuana as a Schedule I drug. The latest statistics regarding medical marijuana opinion show just how much that public opinion has changed over the most recent part of human history. It was only 100 years ago that medical marijuana was pretty much readily available in over the counter products in pharmacies. It was used for a wide range of symptoms and in fact, hemp was one of the biggest agricultural projects of the USA at a certain time in history. In the last 100 years, we have made a journey from legal marijuana to complete prohibition and back to legalization. 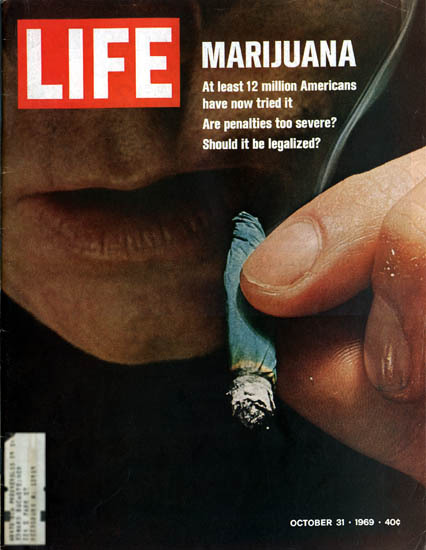 In 1969, only 12% of Americans believed that marijuana should be legal. And this was in a time where the psychedelic movement was seen to have been at one of its peaks. But 2016 is showing extra promise for the liberty movement, with over 5 times as many Americans believing in the legalization of marijuana. Whether the federal government likes it or not, the legal marijuana movement is a force to be reckoned with. All the statistics and the behavior of Americans suggests that the federal government is completely losing the battle. Marijuana Business Daily is estimating the legal marijuana industry to be worth $44 billion by 2020, making it one of the biggest money makers for the USA. The people are coming around, and fast, and it won’t be long before the federal government has no choice but to follow suit. What do you think about the latest poll statistics? Let us know your thoughts on our social media or in the comments below.